This is a really BLUE snowball. Congratulations on your beautiful and impreesive sketch. I surf today in the Copernic78 website, nice work all ! 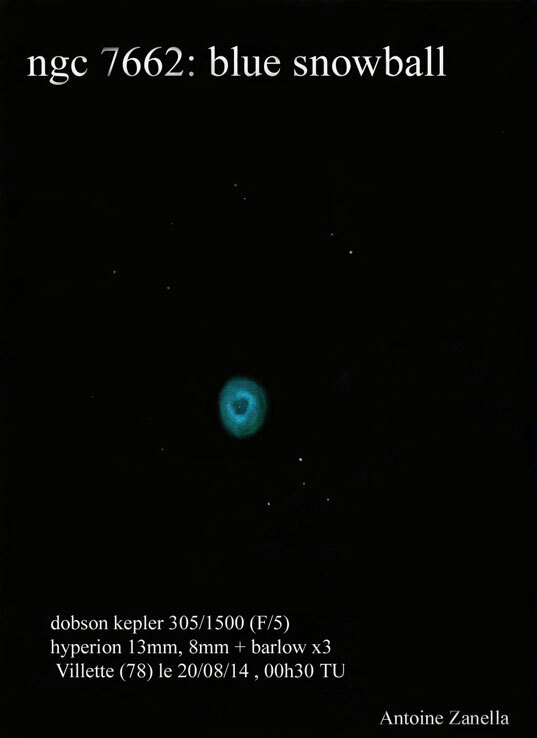 This is a fine sketch showing us why they call this planetary nebula the “Blue Snowball”. Nice work on the bright inner ring. Thanks a lot for ours congratulations. A little smile from Paris.